Many people have wondered what goes into the process of becoming a roller coaster enthusiast. I have encountered and seen many people go through the process. I have tips for making the time period more seemingless. Today I will be sharing “How to Become a Roller Coaster Enthusiast”. 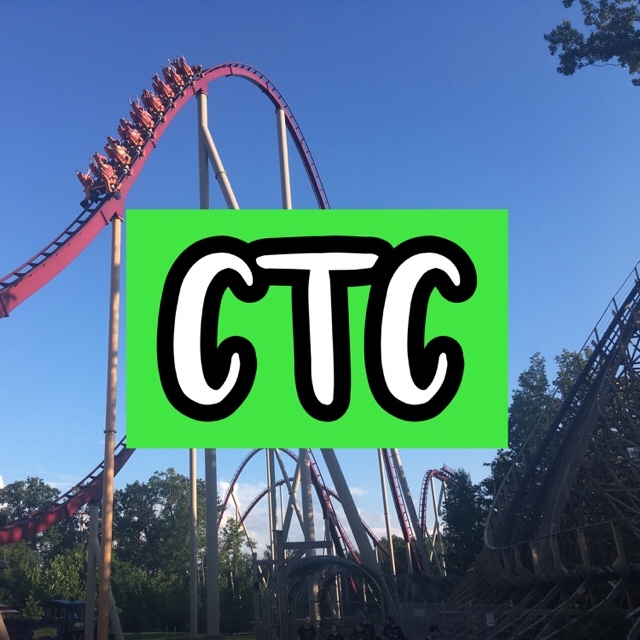 I will be sharing my knowledge of when to know if it is time to become a roller coaster enthusiast and comparing a roller coaster “fan” to a roller coaster “enthusiast”. First, before you get too ahead of yourself know that when it is time for you to become a roller coaster enthusiast you will normally know. Even if you consider yourself a “roller coaster fan” and think that you are ready to become an enthusiast, you still may not be there yet. Do not rush the process because you will not understand how everything comes together as well. A roller coaster fan is someone who likes roller coasters. These people can even be General Public. I consider this the step of going from General Public to liking roller coasters more. They may have some knowledge about roller coasters but they are not going to many different parks, researching about them, discussing about them, and they normally do not have close friends who are interested in them. They are interested in roller coasters but enjoy the actual ride experience and time more than the “nerdy” things that roller coaster enthusiasts are interested in. An example would be they would not be excitingly interested to meet an amusement park official or go on a behind-the-scenes tour. If this sounds similar to you then you most likely are a roller coaster fan. Roller coaster enthusiasts have liked roller coasters for a long time (meaning several years). This is the step that comes after being a roller coaster fan. They have lots of knowledge about roller coasters, discuss them, research them, and have friends who are enthusiasts too. They generally are also part of the “roller coaster community”. This is a group of people who are on social media discussing roller coasters and being involved in them. They attend special events, make media about them, and also may be part of clubs that like roller coasters too. If this sounds like you, then you probably are already a roller coaster enthusiast. All of these things in combination with many more creative approaches can lead to becoming a roller coaster enthusiast. It is a gradual process and can take from 6-12 months to be able to consider yourself a roller coaster enthusiast. Good luck and email me at coastertocoasterofficial@gmail.com if you have any questions or need advice. Great read to distinguish between the two roller coaster fan and roller coaster enthusiast. You have first hand knowledge of a ride from every seat, in every train, at any time of day, and in any weather condition. You actually brag about the number of times you have experienced roll-backs, valleys, and ride evacuations. You have tattoos of all of your favorite coaster layouts on your body. You own at least one t-shirt that you had made to say “Single Rider”, “Coaster (your name here)”, or “Ride #7,839 and counting…”. Your family photo album consists of nothing but “on-ride” pictures of you and your family. You can recite every possible stat concerning a coaster better than Dustin Hoffman in Rain Man, but can’t remember where you left your car when you got to the park that day. When you serve Thanksgiving dinner on the good (Collectable) coaster plates. When the ride operators know you by name. When you overlay satellite photos to footer placements, and play connect the dots in the off-season to estimate the path of the latest “unannounced” mystery project. Your fireplace mantel is decorated with collectable souvenir drink cups that date back to years before you were born. When the park names a coaster train after you. When yours is the first (and the last) car in the parking lot for the day. When you know which rental lockers are marked broken but are still useable because someone just broke off the exposed part of the key. When you refer to those not in the premium pass line as commoners, serf’s, and peasants. When you get caught sneaking into the park disguised as a water filled test dummy just to get in early rides. There is a difference between enthusiast and obsessed too! Yes, that is true. This is mainly for starting enthusiasts though who want to take the next step. But those are great attributes for people obsessed. Thanks for commenting!